A FUNDRAISING APPEAL launched to help a teenager left paralysed from the chest down after a fall during Storm Emma has reached almost €100,000 in just five days. 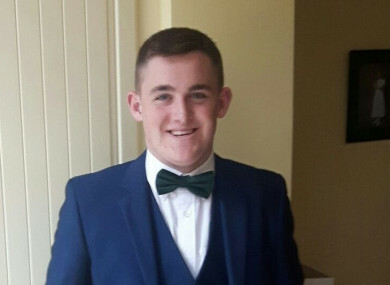 Jack O’Driscoll, aged 19, was out with his friends in the snow before the Status Red alert was issued when he fell and fractured a vertebra in his neck on 1 March. “They were up in soccer pitches at the top of Mayfield, they were jumping into the snow and whatever way Jack jumped into a pile of snow, he just didn’t get out of hit,” Jack’s cousin Brian Punch told The Neil Prendeville Show on Cork’s RedFM. The fracture has left Jack paralysed from the chest down. After the fall, Jack was immediately taken to Cork University Hospital, however, the severity of his injury required him to be transferred to the Mater Hospital for surgery. Since then, and he has been recovering in a designated spinal ward. Last week, a GoFundMe appeal was launched to raise €200,000 to cover the funds for his treatment. Since the appeal was launched, over €97,680 has been raised. “We’re absolutely blown away by [the money raised]. We had planned all this for further down the line, maybe a couple of months further down the line, but even before we set anything up people were dropping envelopes up the [the hospital],” Punch said. “People were texting us and we said we had to do something just so people would have somewhere to go,” he said. Speaking of Jack’s current condition, Punch said that the full extent of his injuries remains unknown as they wait for swelling of his spine to go down. “It’s a waiting game, there’s movement in his shoulders and his upper arms but anything more we’re just waiting to see. It will be like that for the next couple of weeks,” Punch said. All along, he has been positive, he has been upbeat about things, he’s determined. Mentally, he’s got it all squared away. He’s very much keeping a positive frame of mind. The online fundraiser for Jack O’Driscoll can be found here. Email “'We're absolutely blown away': Almost €100k raised for teen left paralysed after Storm Emma accident”. Feedback on “'We're absolutely blown away': Almost €100k raised for teen left paralysed after Storm Emma accident”.